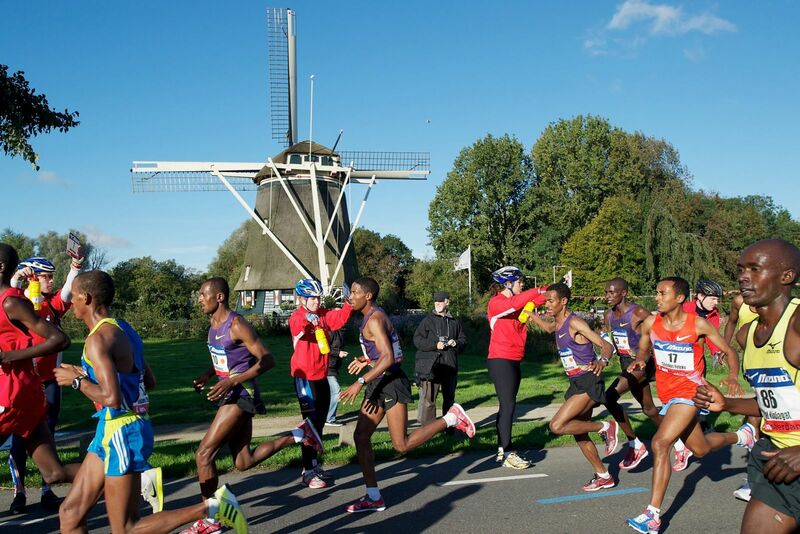 The Amsterdam Marathon is by far the most testing running event in the history of Amsterdam, Netherlands. It is an extremely well-organized event and is classified in the Golden League category by the International Association of Athletics Federations, the highest level for road racing competitions. The first ING Amsterdam Marathon as we know it today happened on May 3, 1975. Since that time, the start and finish lines were at the Olympic Stadium. According to certain records, the first person who won the first Amsterdam Marathon was Joergen Jensen from Denmark who ran the distance in 2.16.51. A year later, a European champion and second at the Munich Olympic Games named Karel Lismont came to Amsterdam. She is still regarded in Belgium as the best marathon runner even born on its soil, won in a tremendously hot weather condition. Another legendary winner of the Amsterdam Marathon came to the city a year later. He actually won the Boston marathon in 1975, being able to finish first in an unbeatable 2.09.55. The Amsterdam Marathon was relocated the year when the Olympic Stadium feel into disrepair. In 1978, there was no marathon in the area, but many of those who organized the event considered the Dam Square as the new starting and finishing area for the event. The Dam Square in fact was the finish venue for one of the city’s most memorable marathons ever – the 1980 Amsterdam Marathon. It is interesting to know that the event actually remained at the Dam Square until 1989, and later Amsterdam’s new start and finish venue became Museumplein. With the reconstructed arena, the Amsterdam Marathon finally was brought back to its former venue – the Olympic Stadium. In that venue, another memorable event took place and it was the 1996 Amsterdam Marathon when the city saw a rise in the number of its runners, both in men and women categories. The success of the marathon continues even until now and many Amsterdammers have immortalized their names through this event. The route of the Amsterdam Marathon is usually fast, free of traffic, and as flat. During the event, digital clocks and refreshments stand line the route, which typically passed through the Vondelpark, below the Rijksmuseum and finishes back inside the Olympic Stadium. Just like any other sports events, the Amsterdam Marathon has its own time limit. It has been maintained that the full marathon is subject to a six-hour time limit. The participants who fail to run the scheduled distances within the time limits set for the 25 km, 30 km, 35 km, or 40 km markers, as well as those who will exceed the overall time limit will be asked by a member of the event jury to terminate their race and to board the sag wagon for safety and health purposes. However, if despite being approached by a jury and the participants continue to run, they will be asked to do so at their own risk, as the route will be released for road traffic once the sag wagon has passed. And, it is a rule in the Amsterdam Marathon that if the participants terminate their race prior to finishing, they will not qualify for a medal.